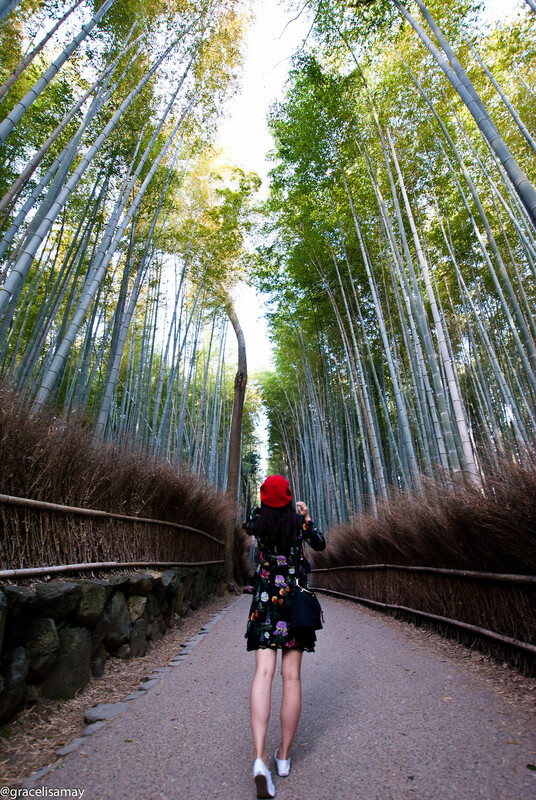 Walking through the magical bamboo forest in Kyoto, Japan was one of the most calming and relaxing activities we did on our recent trip to Japan. We stayed at an Airbnb in Osaka on this leg of the trip and to get here we took the Hankyu Rail from Umeda Station to Arashiyama Station (about an hour ride). 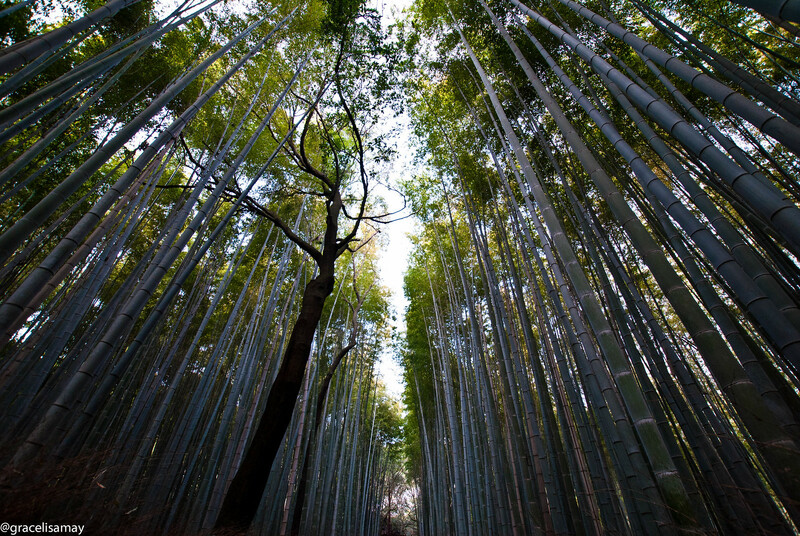 Once you arrive at Arashiyama station, there are signs that lead you to the Bamboo forest. 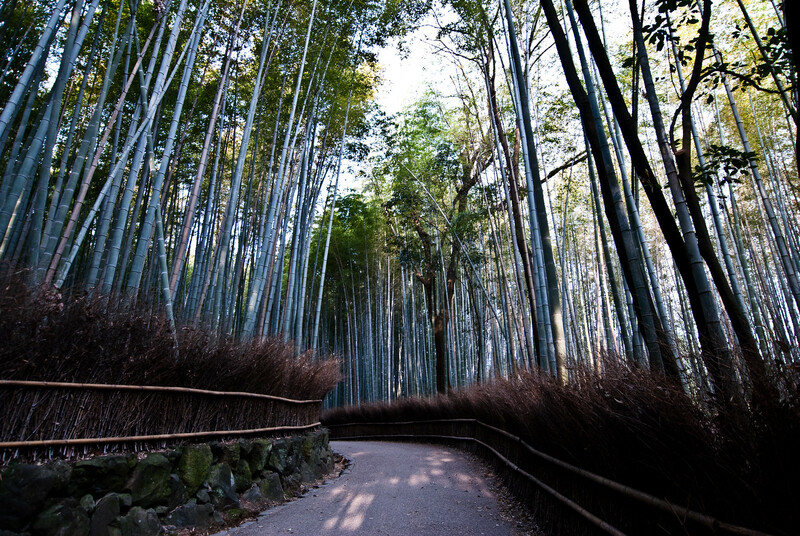 The walk is about a short 20 minutes from the station to the forest. 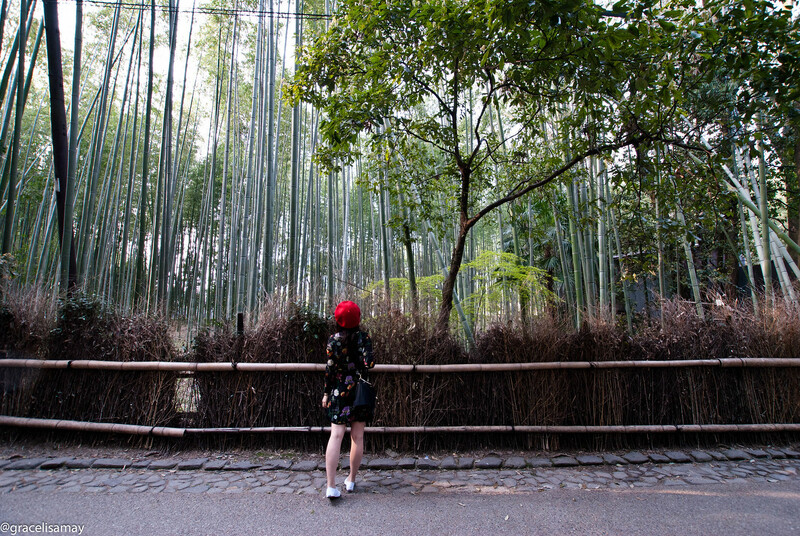 We arrived for 7am on a Monday morning and enjoyed a fairly quiet stroll along the winding path under the canopy of the giant bamboo trees. If you to want to take some photos without much people in the background, I would highly recommend you come really early. Anytime after 8am might be considered late and you’ll potentially end up bumping into professional photographers & others doing wedding photo-shoots, not to mention an overwhelming amount of tourists. 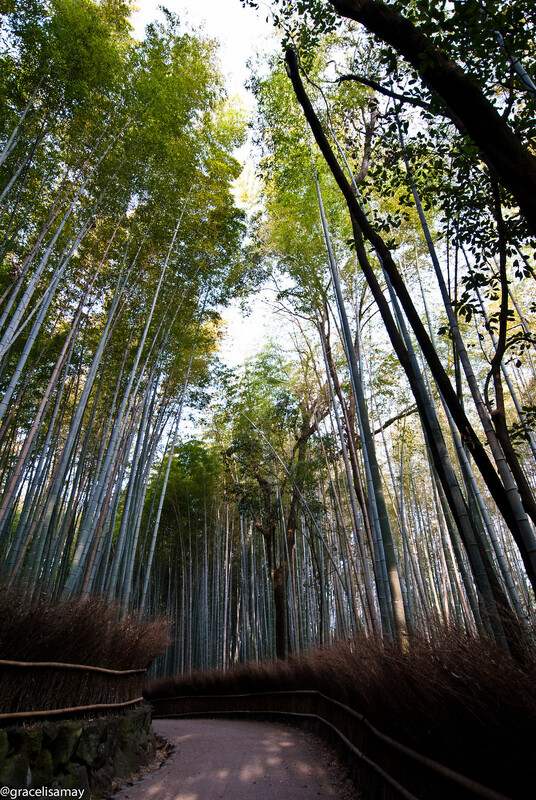 The bamboo forest is actually just a short walk, about 300m long, but you will see bamboo trees everywhere you look. It’s an incredible sight to behold and you simply can’t find anything else like it!